Piazza San Jacopino is a small piazza just west of the historic center of Florence. The piazza's name comes from the church of St. James, which is dedicated to the nearby church of San Jacopo in Polverosa. The church was named San Jacopino to distinguish it from other churches in Florence. The church once stood in the square but was demolished following the devastation suffered during the Second World War. Since 1936, a new church was built on the piazza which took the name of the old one. The square retains a genuine neighborhood feel, with several local shops and authentic restaurants (check out Pizzeria San Jacopino for one of the best pizzas in Florence). The buildings that surround the piazza date back to the Fascist period around the 1930s when this area of Florence was undergoing significant urbanization. 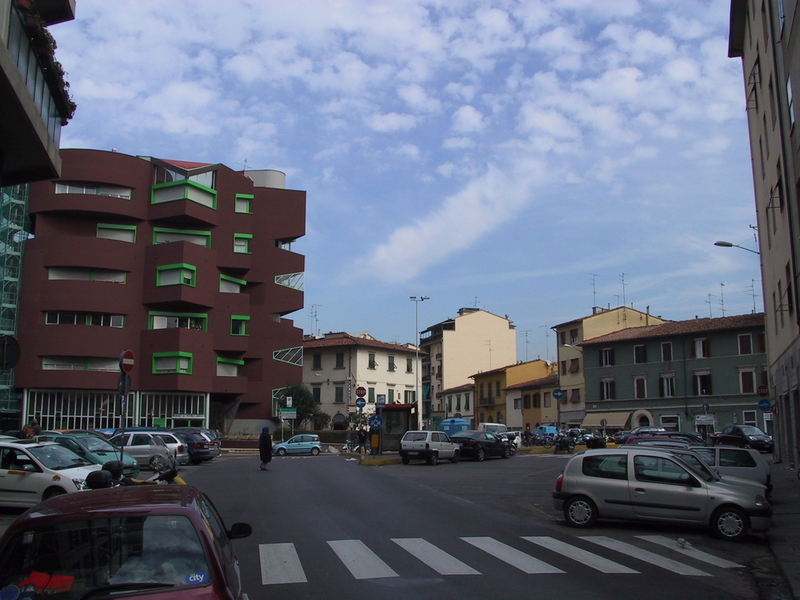 The piazza is characterized by residential housing. The only exception to this architecture is an original modern building built in 1976 by the architect Marco Dezzi Bardeschi that uses asymmetric geometry. While today it houses a bank and residential apartments, it was formerly healvily criticized for its boldness and colors.